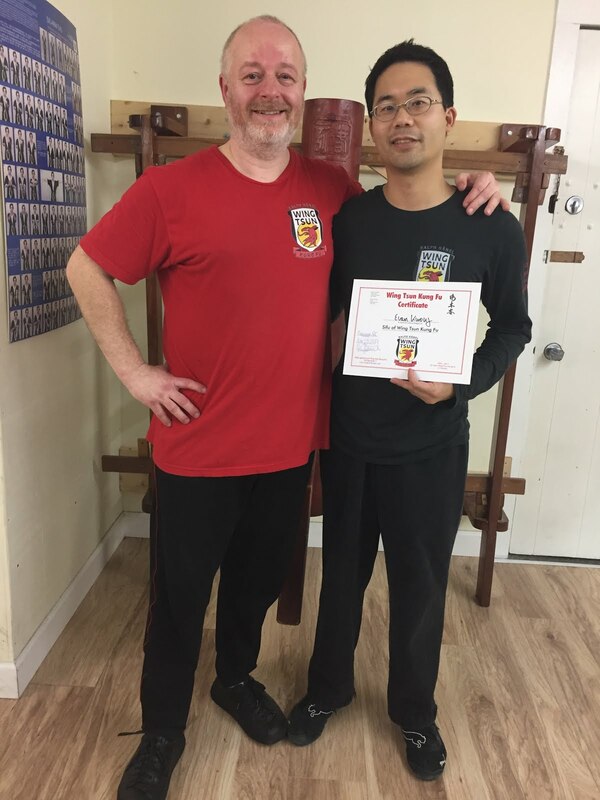 This past seminar in April by Sifu Ralph Haenel of Wing Tsun Kung Fu Vancouver, hosted by Si-Hing Philip of Golden Monkey Martial Arts Club, was once again enlightening. Great training partners as usual, with Mike, Sia, Sifu Steve. And such warm sunny weather, making it all the more enjoyable. All of the "moves" in Wing Tsun with the word 手 ("sau", hand) should be replaced with the word 身 ("sen", body). Time and time again at various seminars and classes, Sifu Ralph repeats concepts about using the body, sinking the weight, being mindful of the anchors to the ground, etc. So, a tan sen or lan sen should be formed not only by the hand but with the body as well, and having structure behind it. A gan sen or gwat sen should shock the opponent's core, A pak sen or a fak sen should move the opponent's body. Just some examples. That's the proposal. All the 手's being changed to 身's!